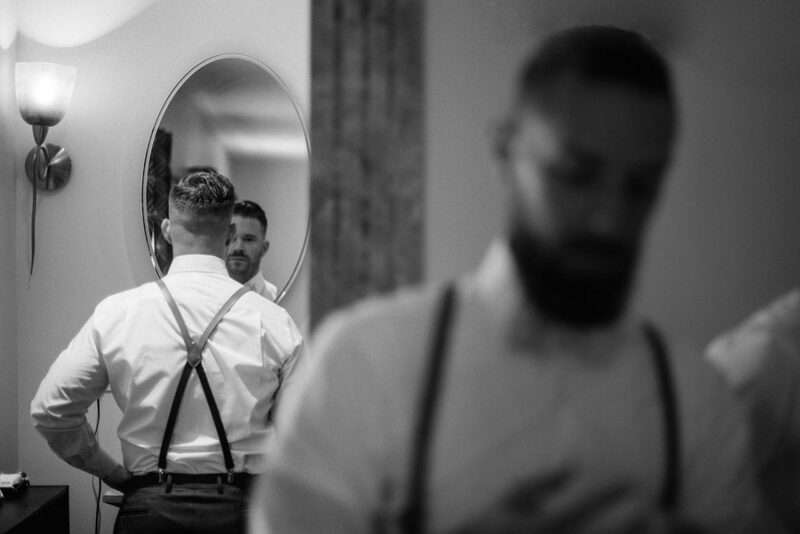 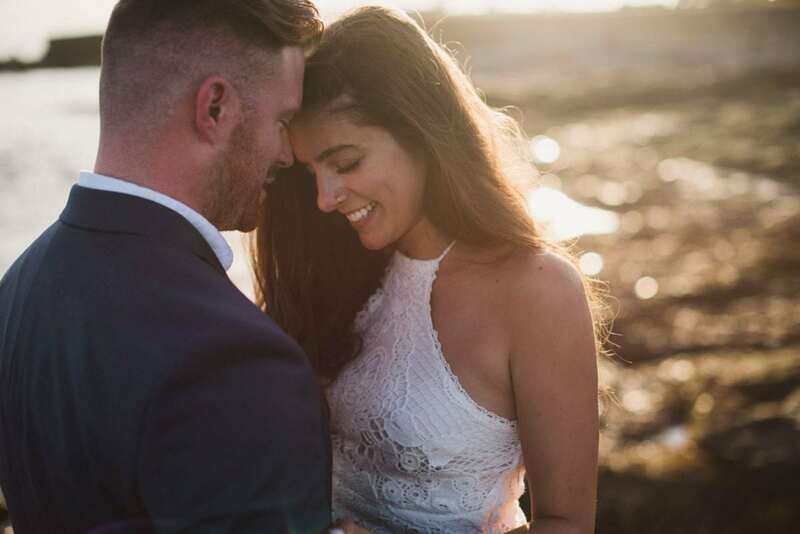 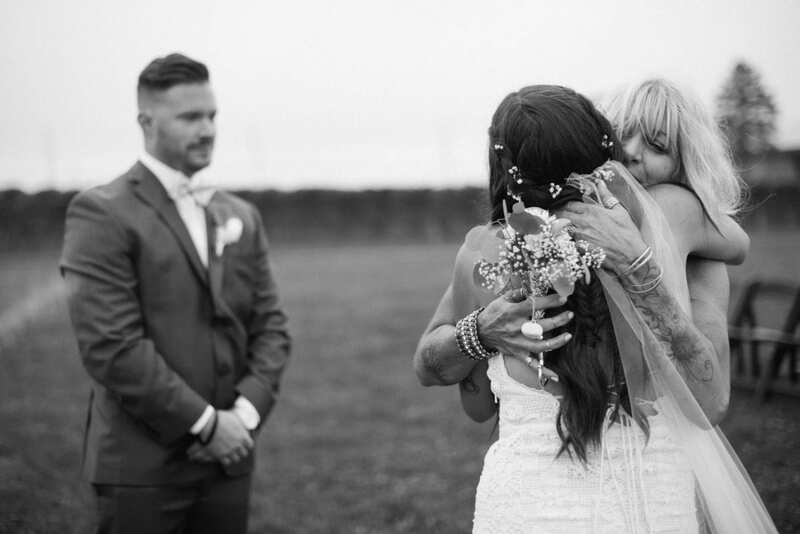 It’s always special when you have the chance to know a couple for a long time, not only on the wedding day. 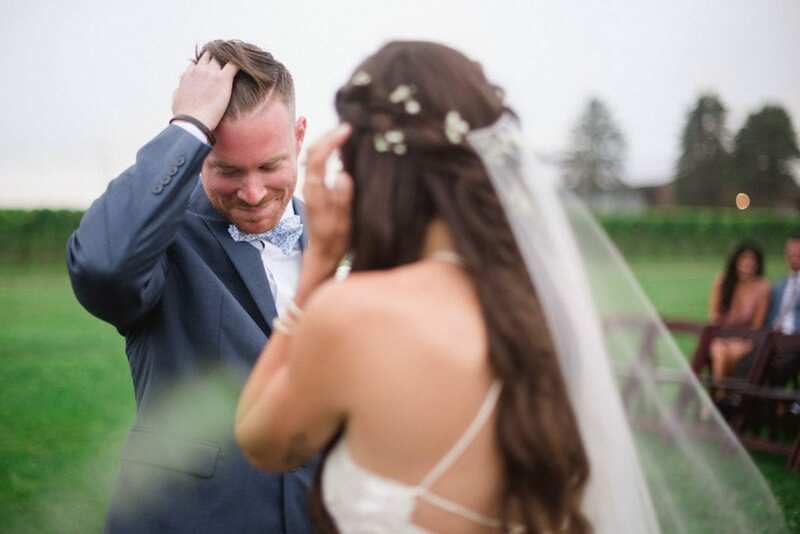 When you are asked to document not only a single day, but a part of their story. 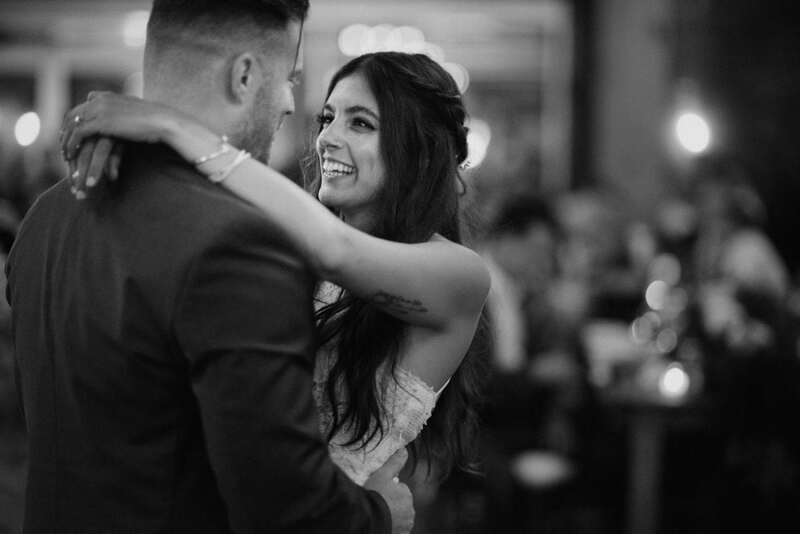 This happened to me with Kasey and Chris; we met about a year ago in Venice. 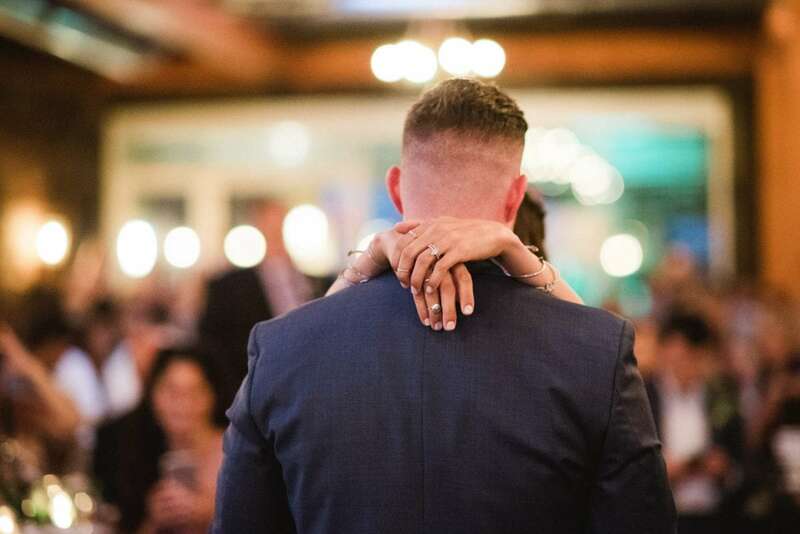 In June 2016, in fact, Chris asked Kasey to marry him and contacted me to photograph this beautiful moment, in an unforgettable rainy Venice. 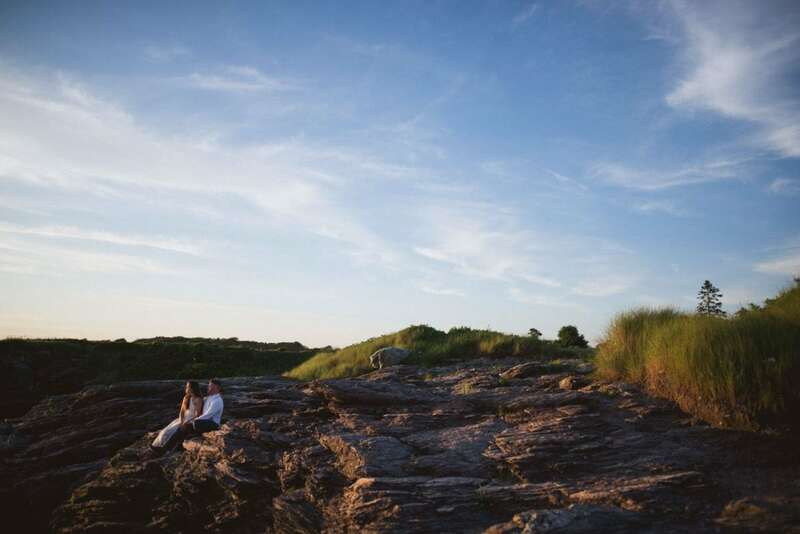 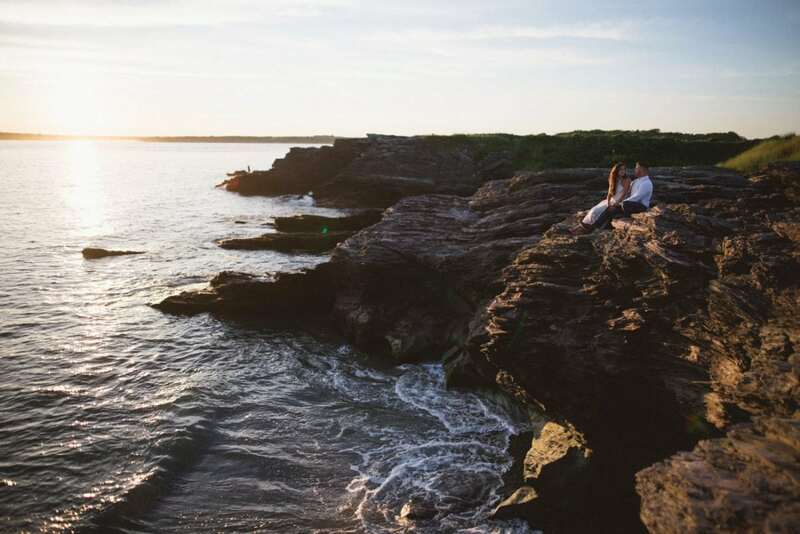 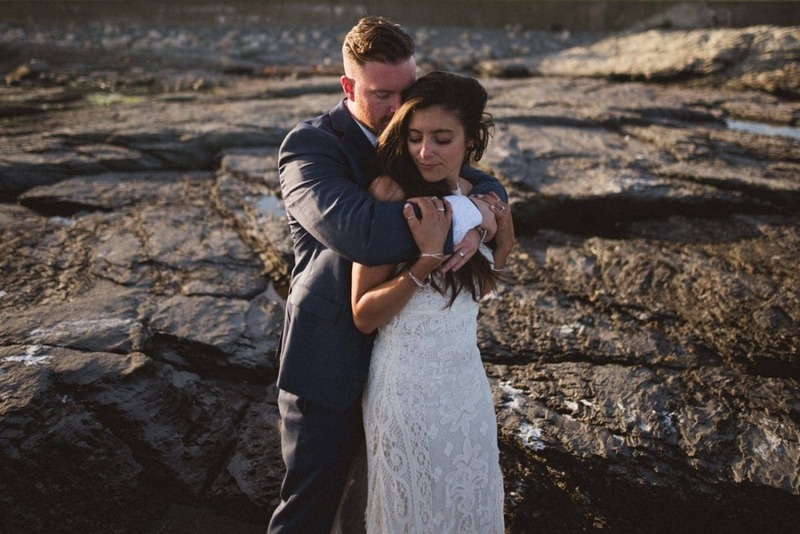 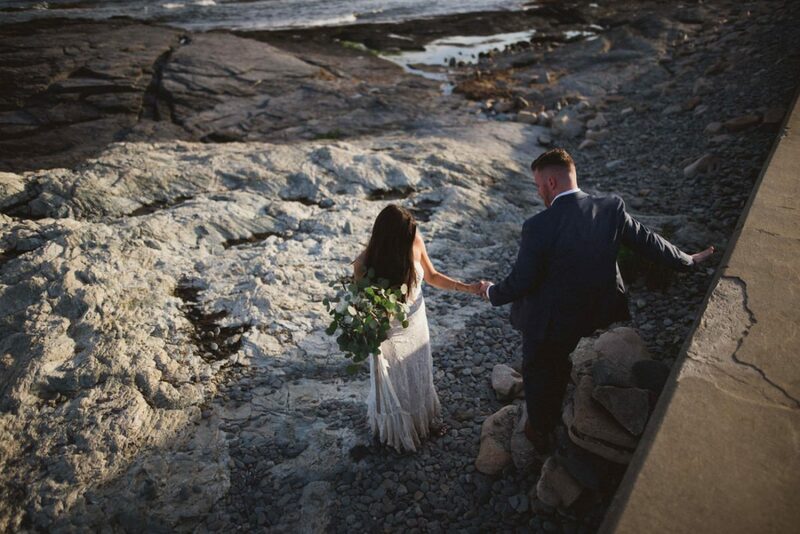 I was so honored when they asked me to be their wedding photographer in Newport, Rhode Island! 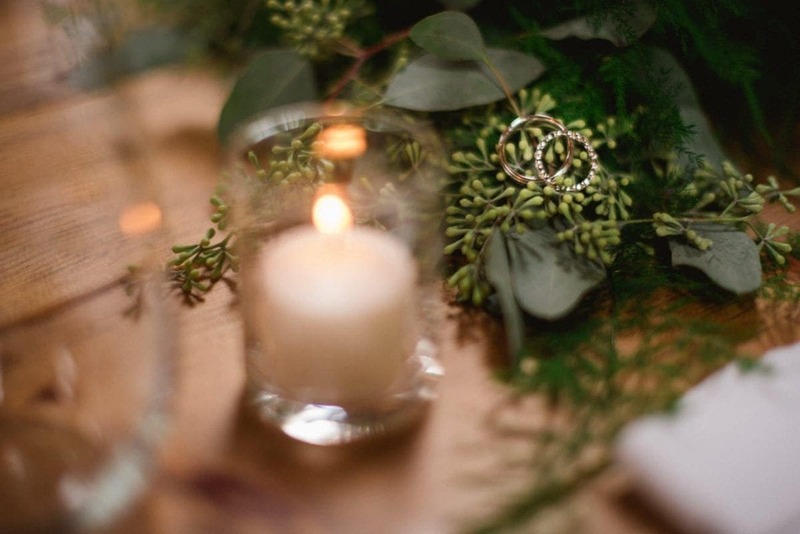 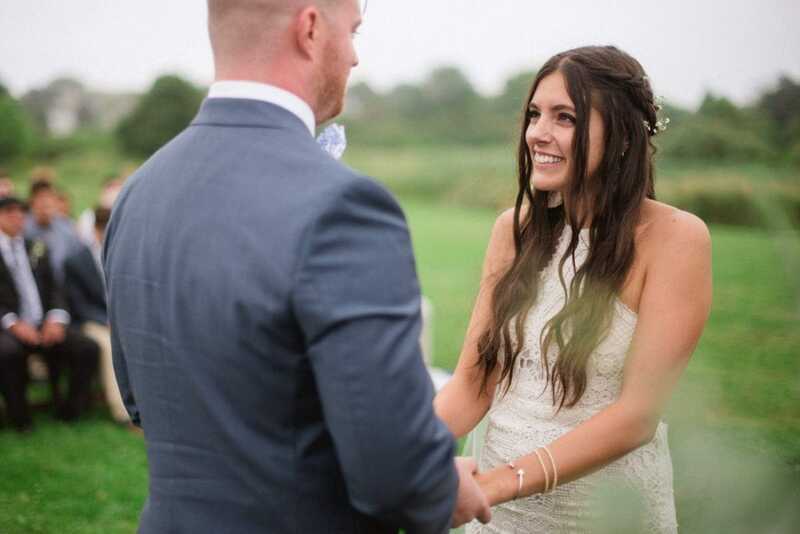 This Wedding has also been featured in the English wedding blog Boho Weddings. 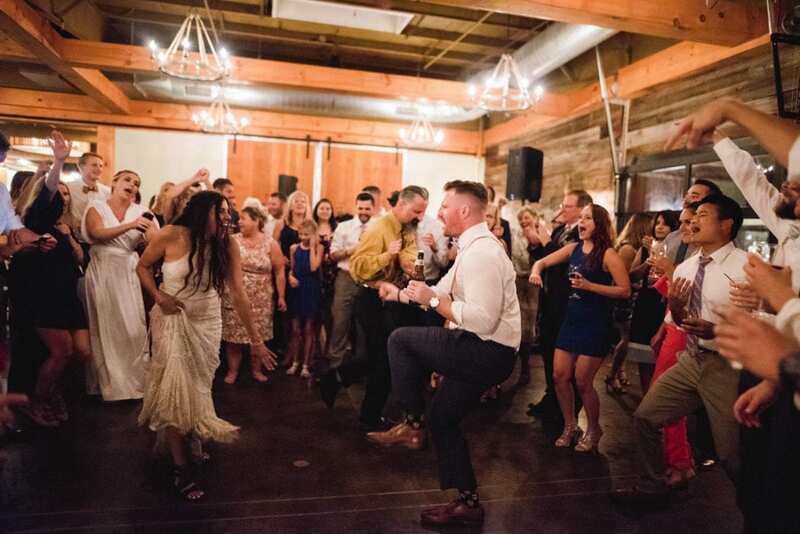 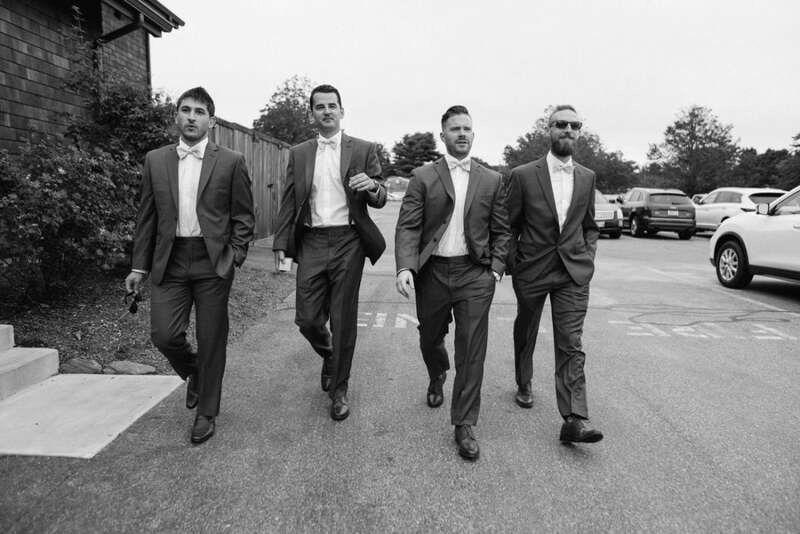 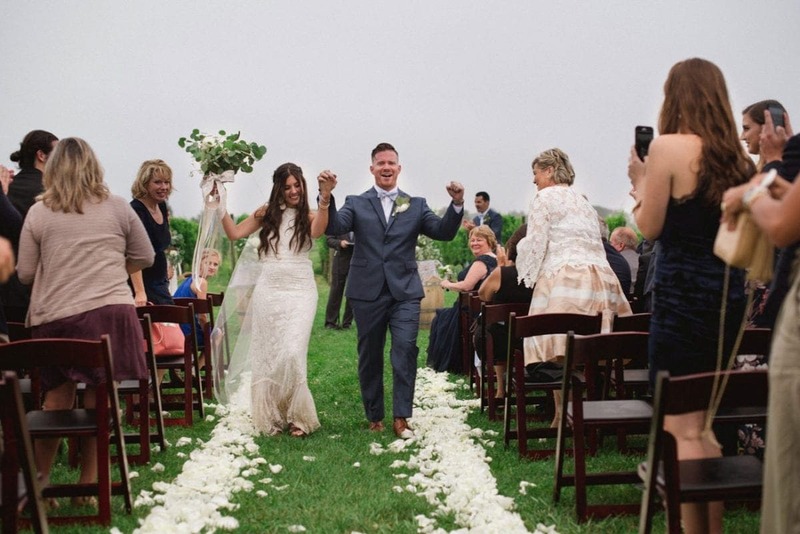 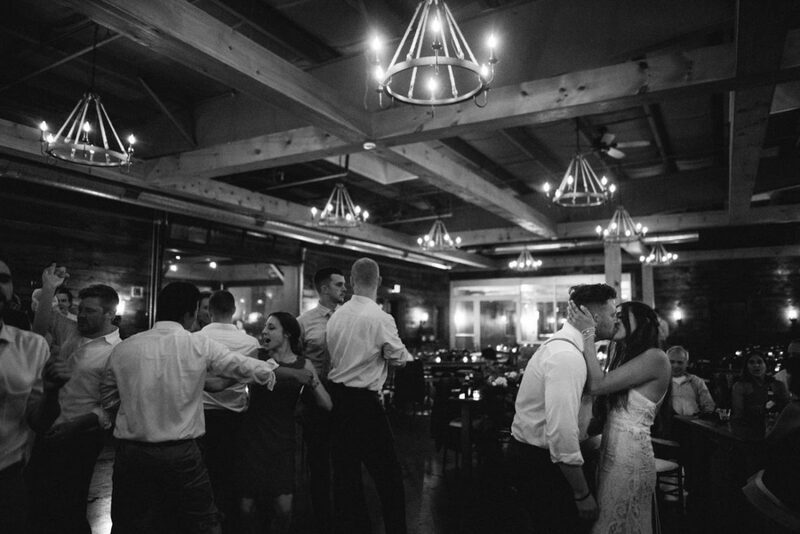 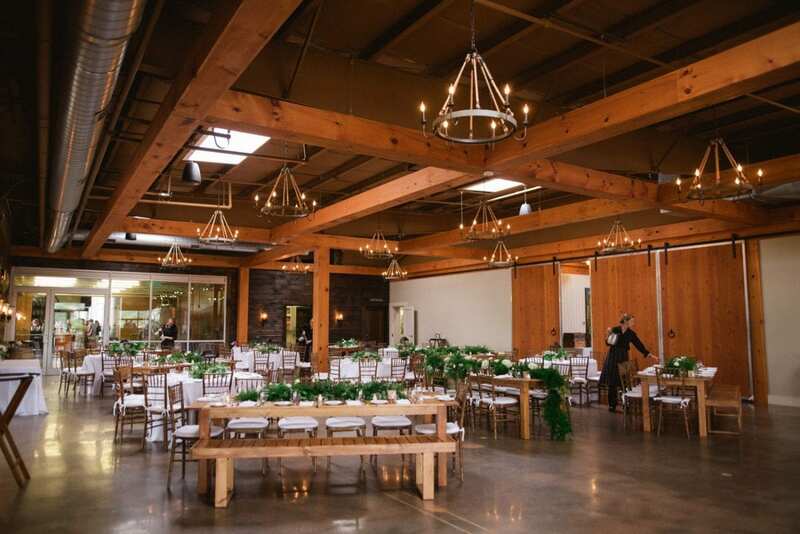 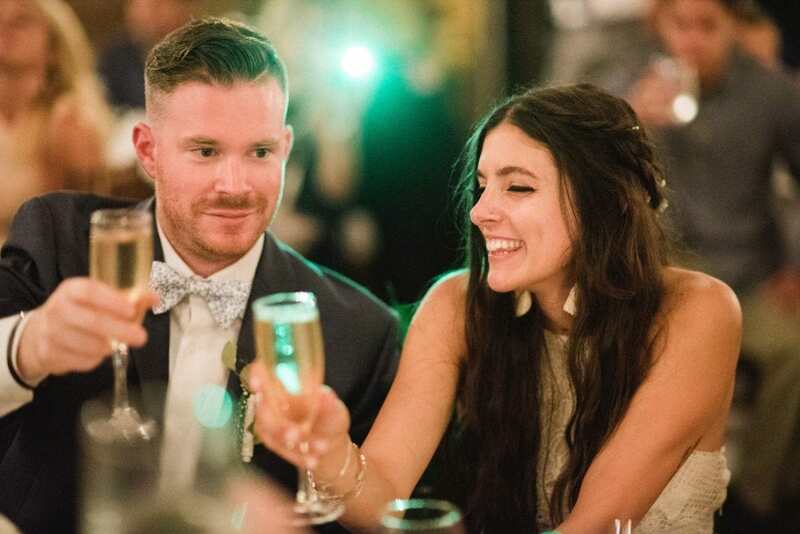 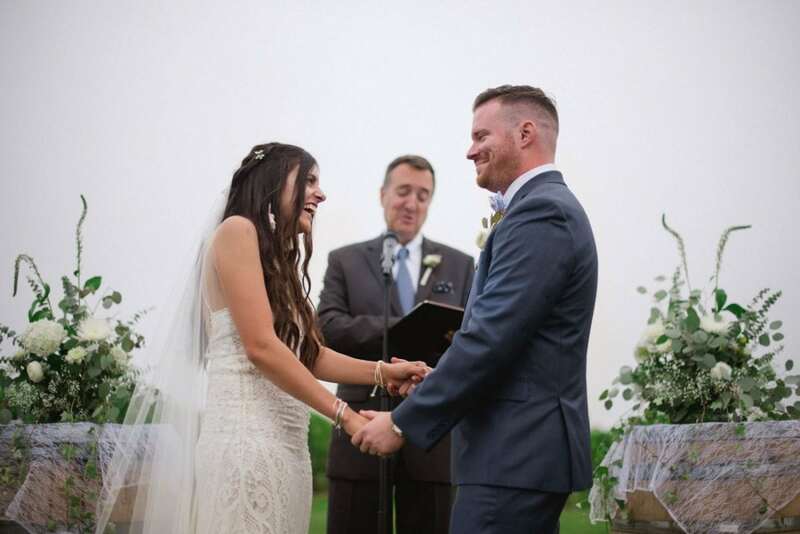 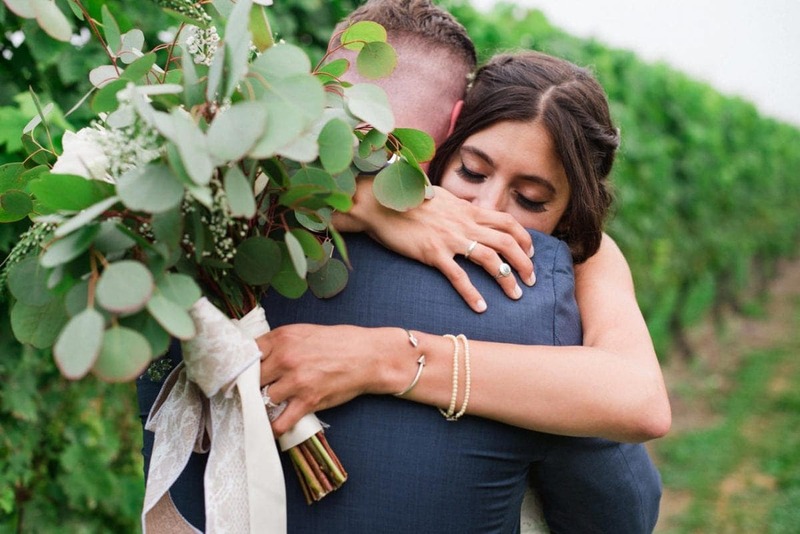 Kasey and Chris tied the knot in a wonderful winery and restaurant called Newport Vineyards. 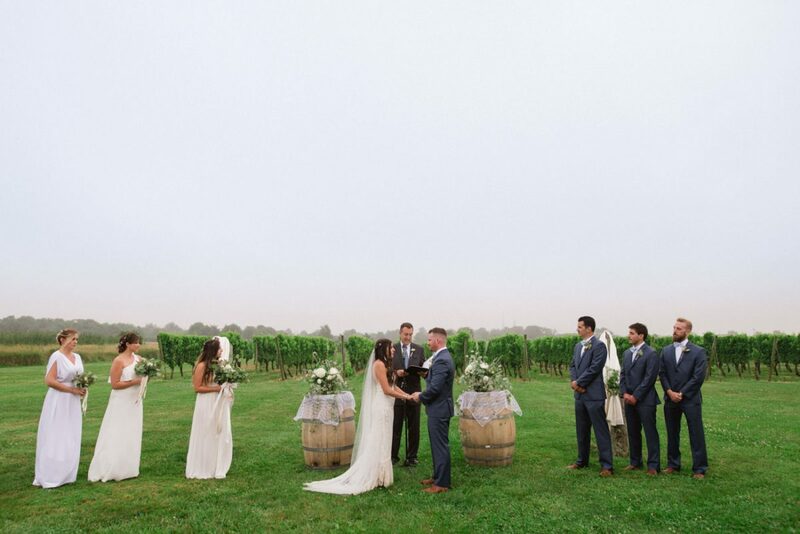 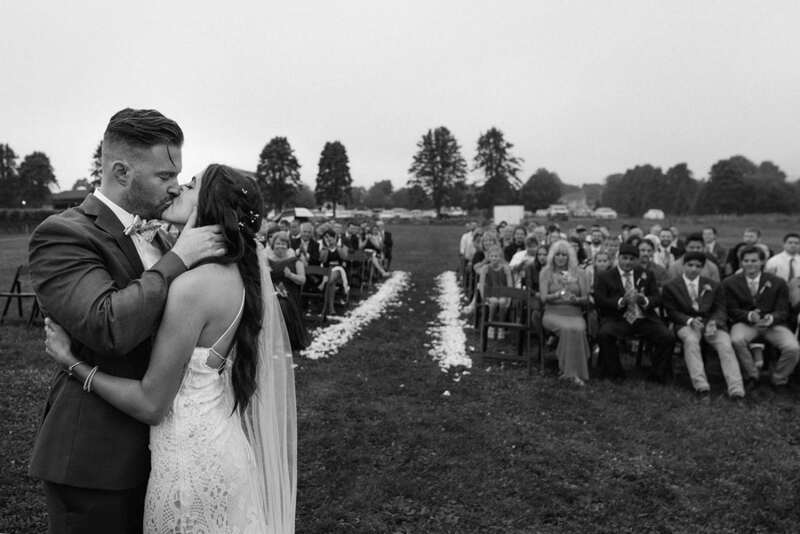 Their wedding celebration took place outdoors, in front of the vineyards, under a light rain. 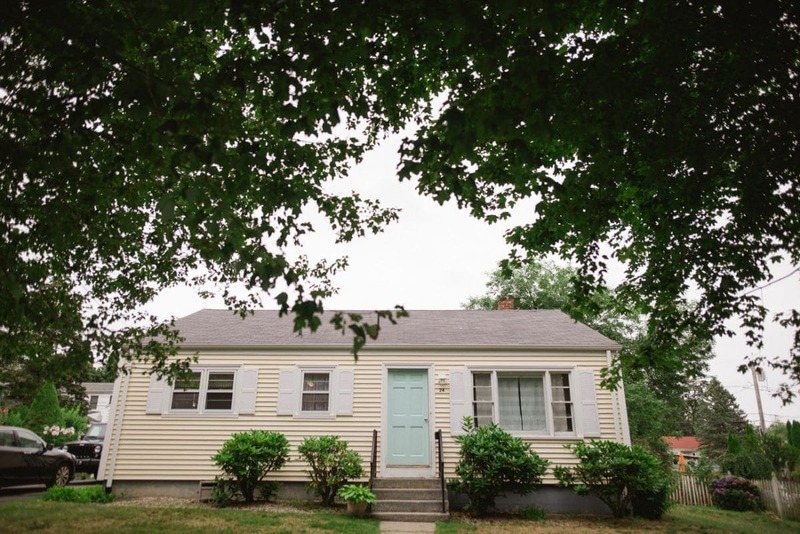 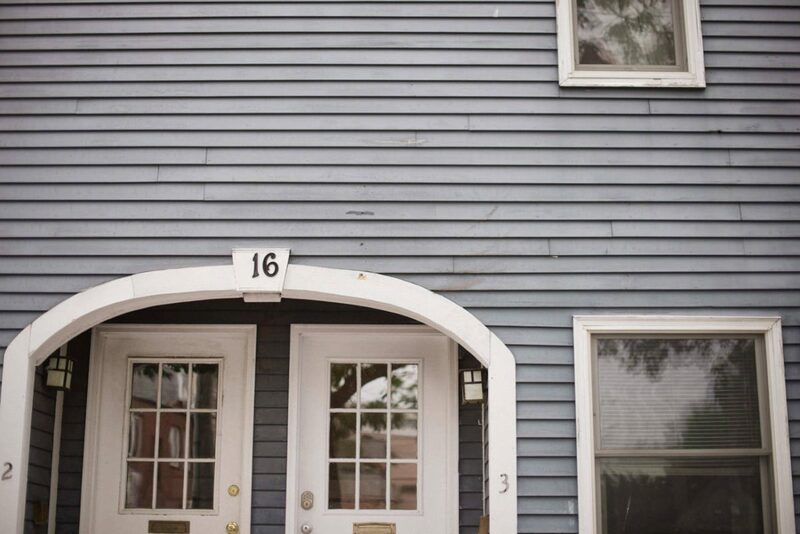 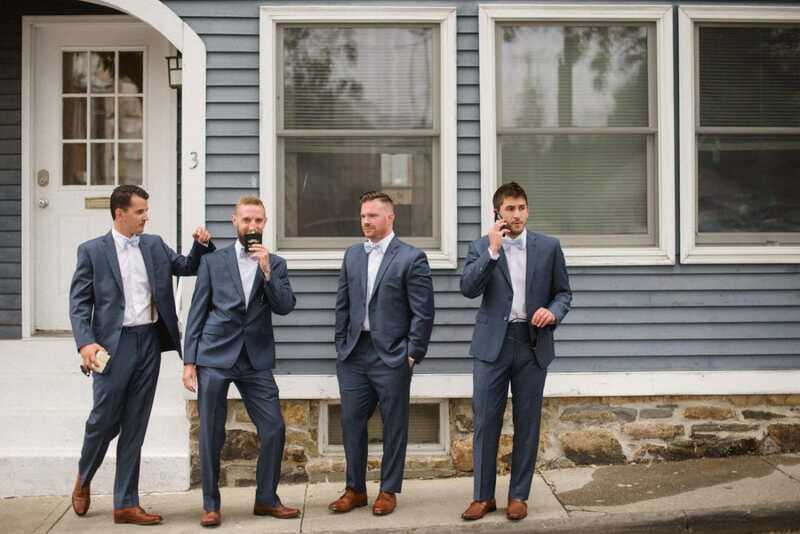 Kasey and Chris are from Boston, so the couple and their guests rented various apartments around Rhode Island for the weekend. 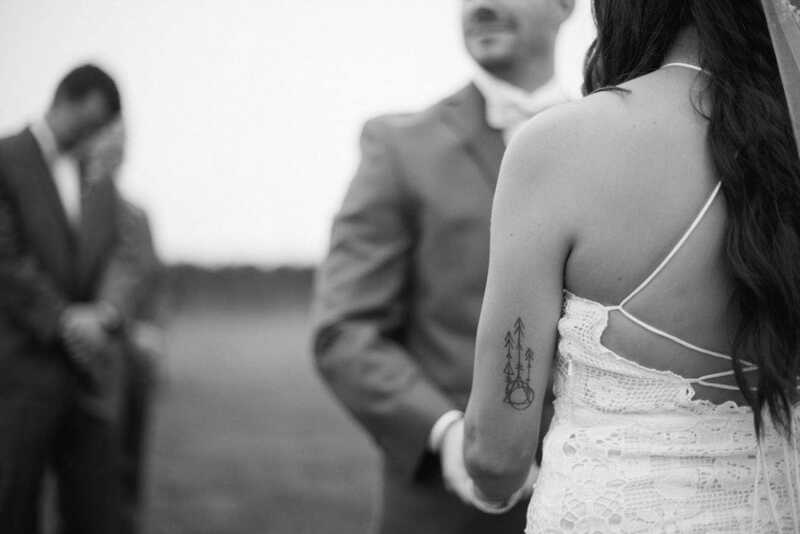 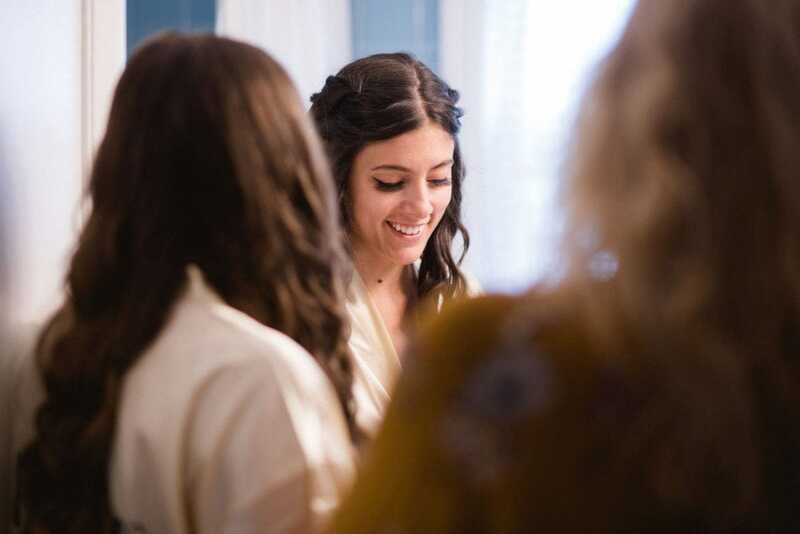 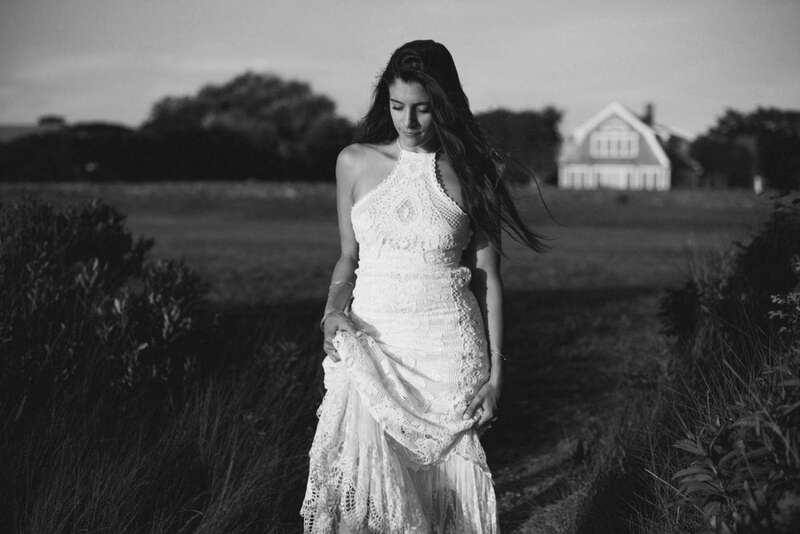 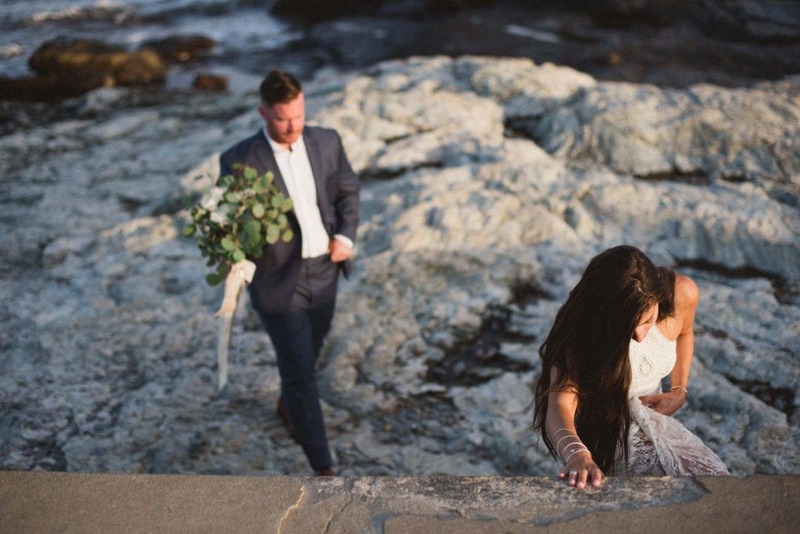 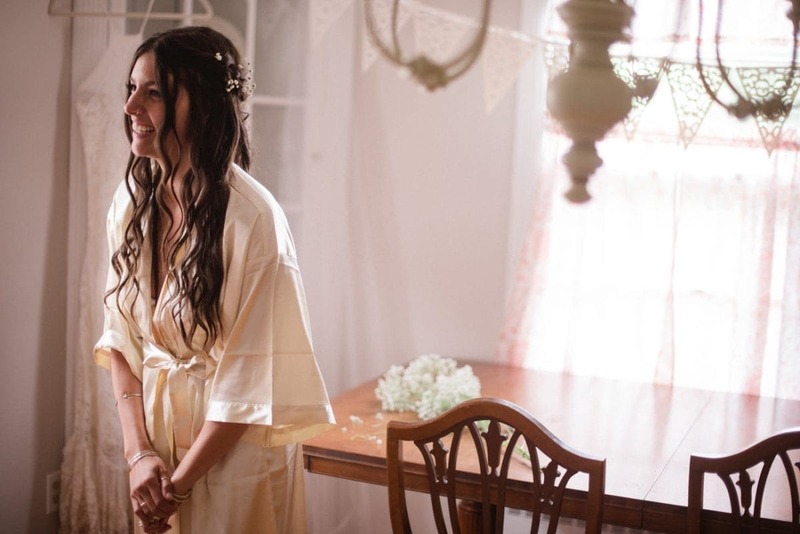 Kasey wore her amazing boho-chic wedding dress (I totally LOVE the hippie-boho chic style!) 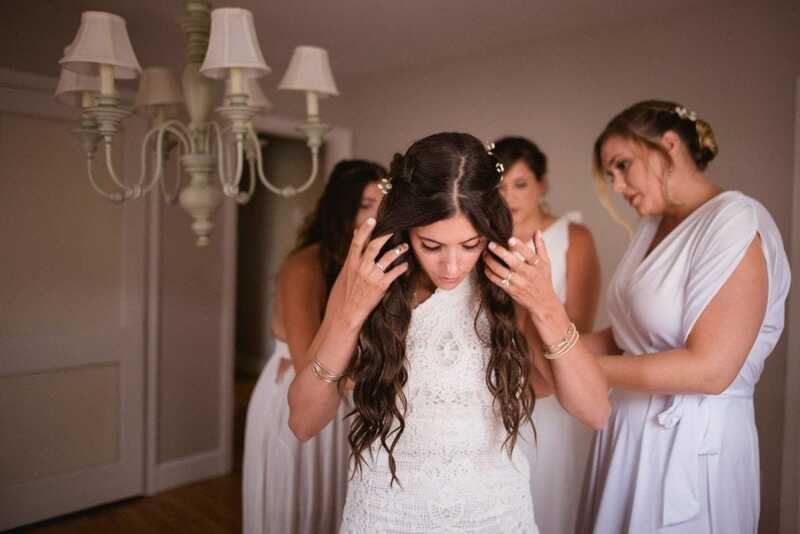 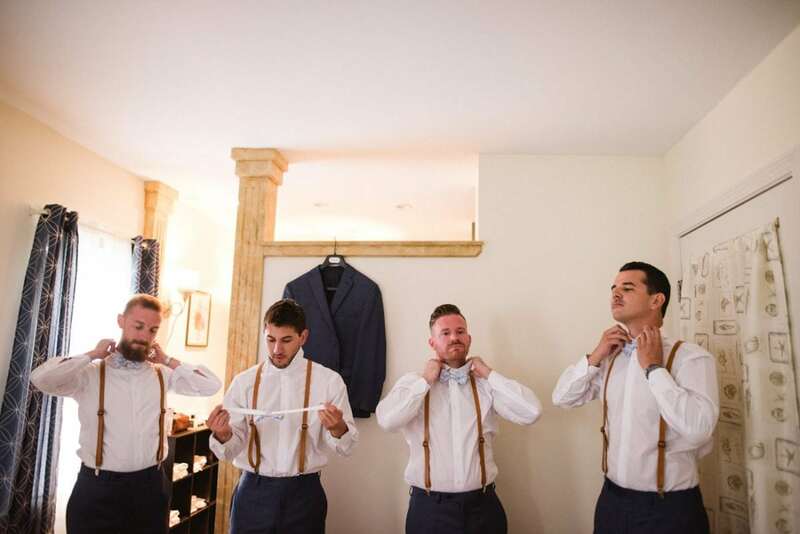 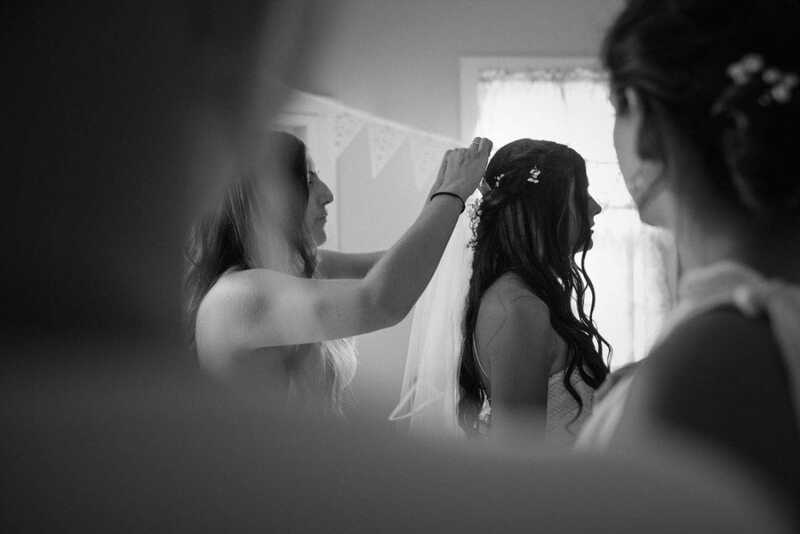 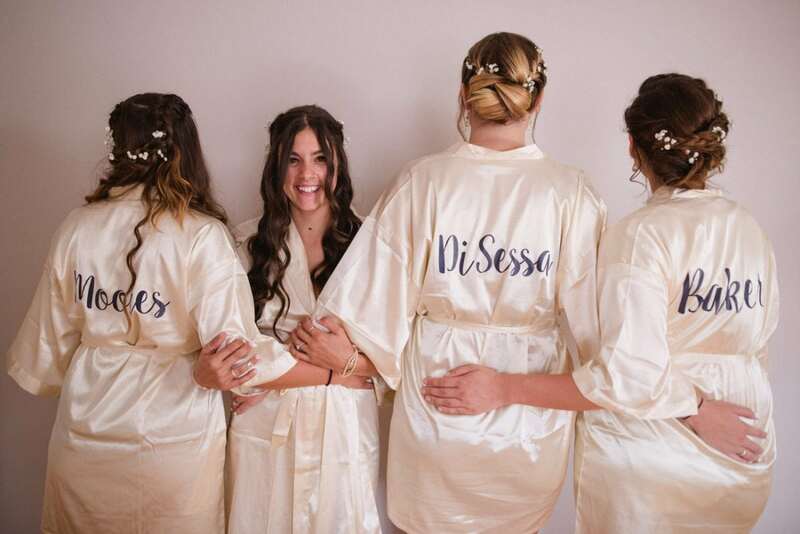 together with her best friends, her sister and her mother, while Chris got ready in another apartment with his best men. 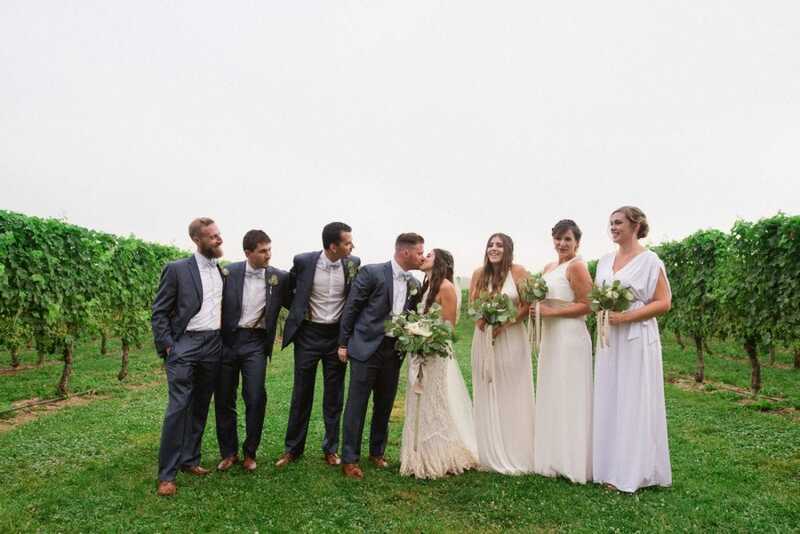 Bride and bridesmaids dressed in white, groom and best men in matching suits (and socks) – such a stylish, cool choice! 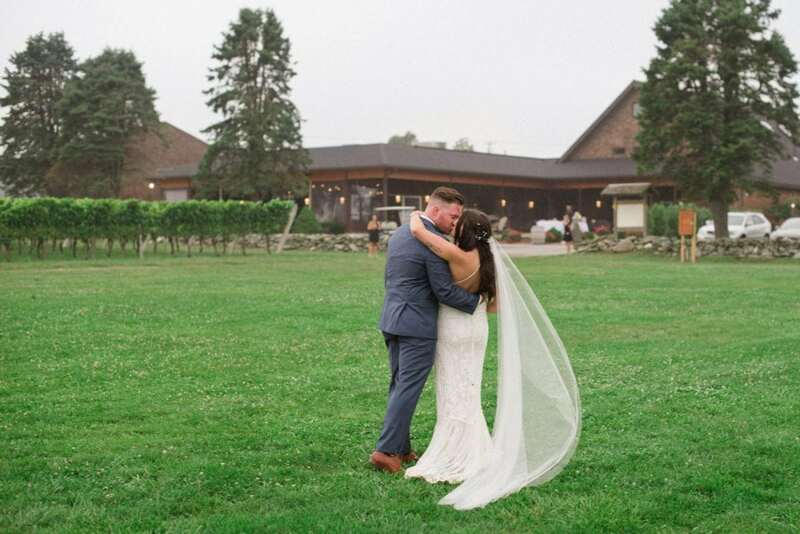 The outdoor ceremony was magic, under a light rain that created an amazing atmosphere, and a sort of connection to the moment of their engagement. 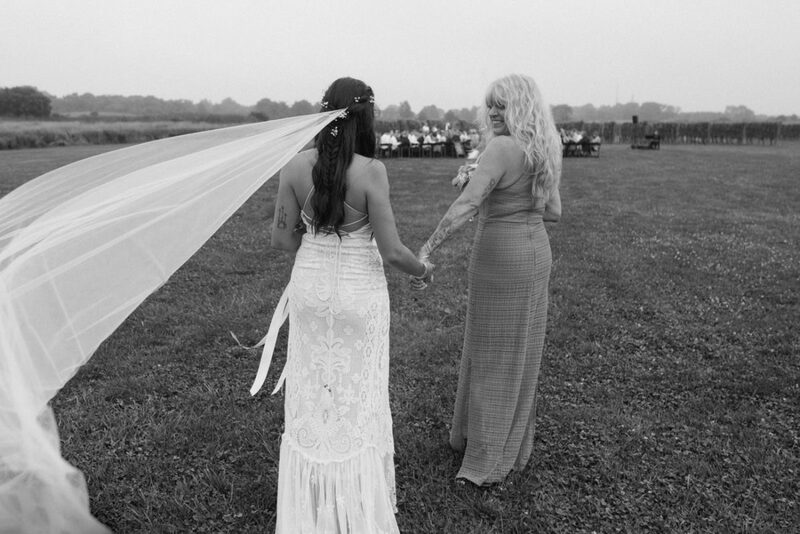 But the most emotional moment for me was when Kasey walked the aisle hand in hand with her mom, Teri: not only two people but two families joining. 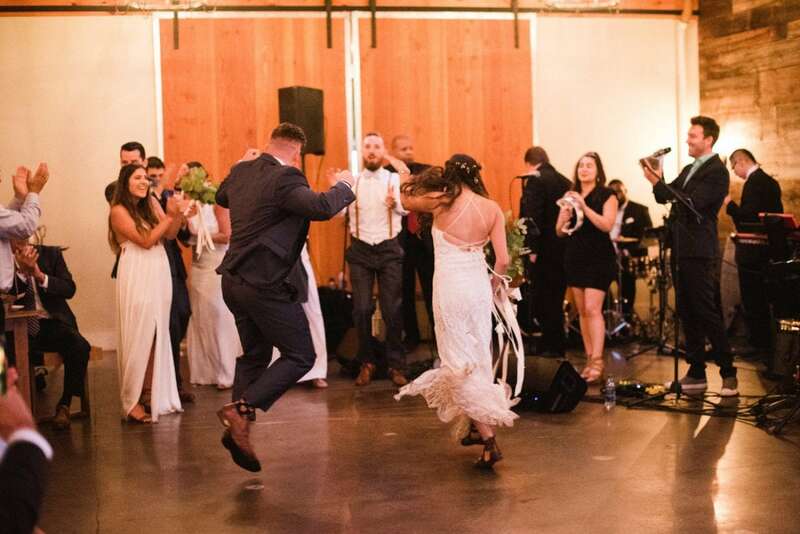 The wedding night went on with crazy dances, great food and a lot of friends: a really wonderful wedding, so exciting and emotional for me and all the guests, the first of a (I hope!) 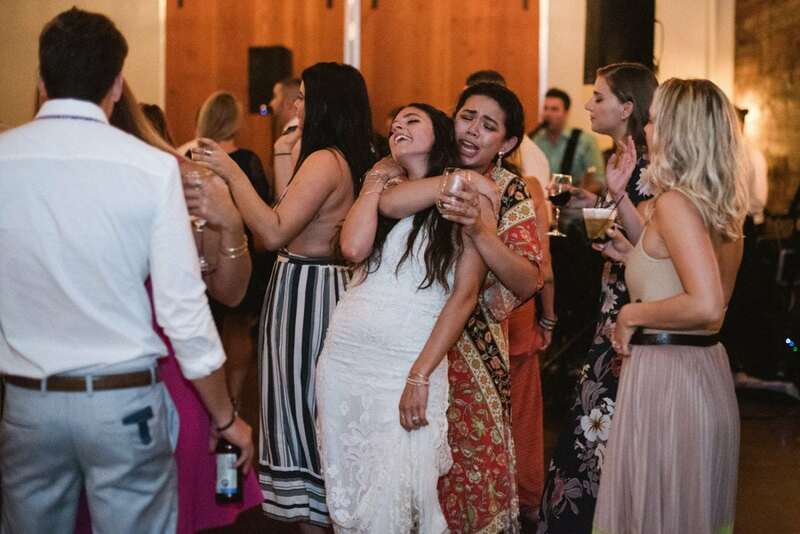 long series of weddings in the States. 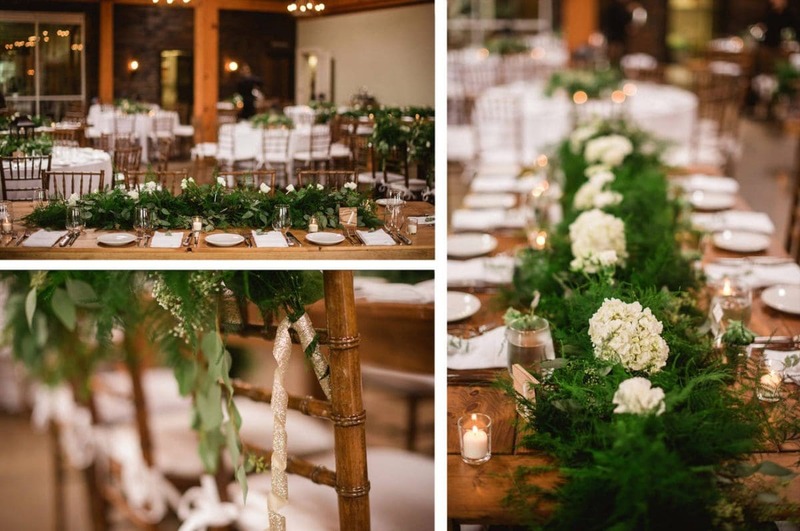 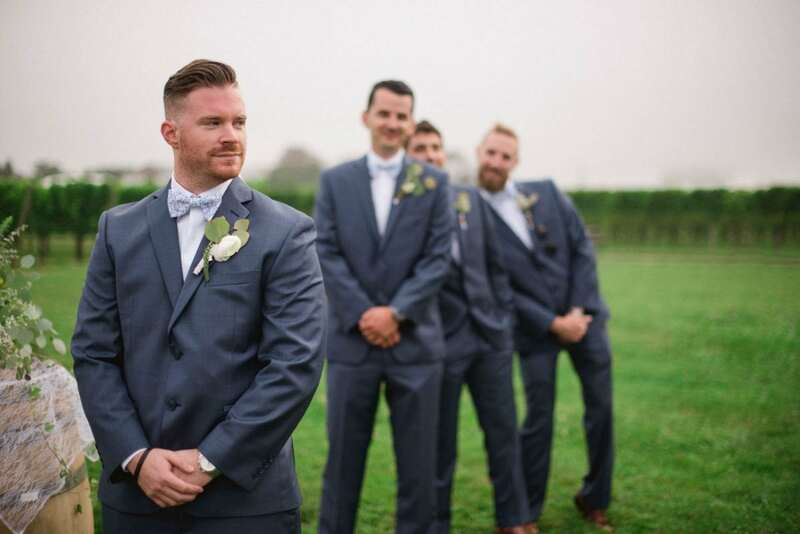 There you can see a selection of pictures of this beautiful wedding, the Wedding slideshow and a list of all the vendors involved in making this wedding so beautiful.